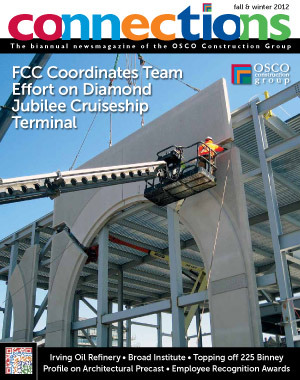 The OSCO Construction Group consists of construction and manufacturing companies which fabricate both steel & precast concrete products and perform specialty construction services. Each Spring and Fall we publish our bi-annual Group magazine called Connections. Please click on the link below to view our current edition. Previous editions can be viewed through the links on the left navigation bar. 14 Customer Profile: Fares Inc.